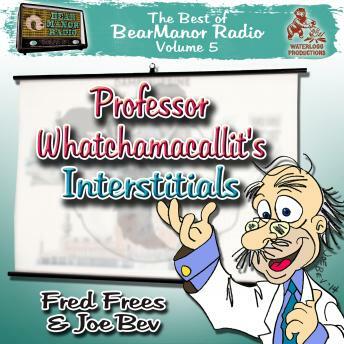 These hilarious radio theater comedy moments, complete with sound effects and music, were originally intended as introductions and closings to the BearManor Radio Network programming. But now you enjoy them anytime. This audio production was written, produced, and directed by veteran award-winning radio theater wizard Joe Bevilacqua and voiced by Fred Frees in honor of the character Ludwig Von Drake, originally voice by his dad, Paul Frees, and Sid Caesar, who's Professor character inspired both.